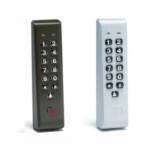 The Prox.Pad 0-205676 is an IEI Wiegand 125kHz is a stand alone proximity reader and keypad that can.. 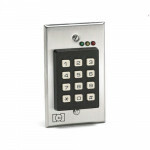 The 212iLW 0-230722 is an IEI Indoor/Outdoor Flush-Mount Weather Resistant Keypad that features a ch.. 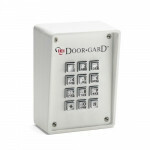 The 212SE 0-212140 is an IEI Indoor/Outdoor Surface-Mount Weather Resistant Keypad that features a b.. 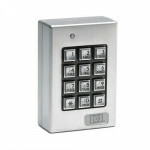 The 212i 0-211111 is an IEI Keypad, Indoor Flush-Mount Keypad is an affordable single door acce.. 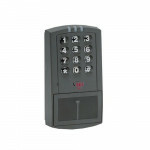 The 232SE 0-232140 is an IEI Indoor/Outdoor Surface-Mount Weather Resistant Keypad Sealed Environmen.. 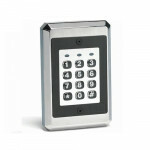 The 232R 0-213466 is an IEI Indoor/Outdoor Surface-Mount Ruggedized Keypad that features a cast alum.. The 212iLM is an IEI Indoor/Outdoor Mullion-Mount Weather Resistant Bronze Keypad that mounts .. The SEG-M 0-296006 is an IEI Ethernet Gateway that converts TCP/IP to serial, which enables IEI acce.. The PIP24VDCRU 0-291324RU is an IEI Plug-In Power Supply that is EISA compliant with auto-resetting .. 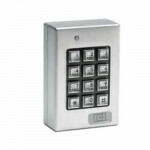 The 212w 0-213222 is an IEI Indoor/Outdoor Flush-Mount Weather Resistant Keypad designed to meet the.. 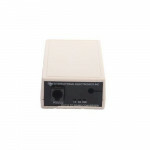 The IEI 232-485 0-295093 is a Converter that Converts either RS232 or RS485 at the PC for communicat.. 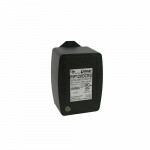 The PIP12VDCRU 0-291312RU is an IEI Plug-In Power Supply that is EISA compliant with auto-resetting .. The MAX3 SYS 0-205600 is an IEI Single Door Access Control System Kit w/Software that is Networked P.. 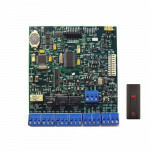 The MINIMAX3 SYS 0-205601 is an IEI Single Door Access Control System Kit w/Software that is Network.. 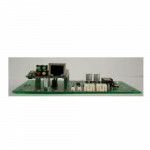 The MAX3MOD EX 0-205603 is an IEI Single Door Access Control Kit for System Expansion that is Networ.. 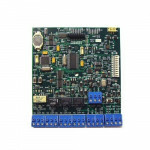 The MAX3MOD 0-205671 is an IEI Module, Single Door Access Control Panel that provides single door ac.. 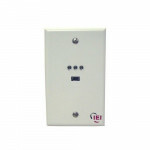 The MAX3 PANEL 0-205673 is an IEI Single Door Access Control Panel that allows for fast and easy exp.. The USB-SERIAL 0-295097 is an IEI USB to Serial Converter which converts either RS232 and/or RS485 t.. The PROX.PAD PLUS 0-205679 is an IEI fully integrated PC managed single door access system with a st.. 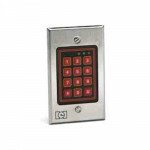 The 212R 0-211466 is an IEI Indoor/Outdoor Surface-Mount Ruggedized Keypad that features a cast alum..